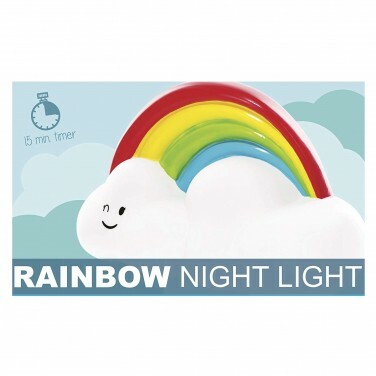 Reassure light sleepers and little ones at night with the most cheerful night light ever! 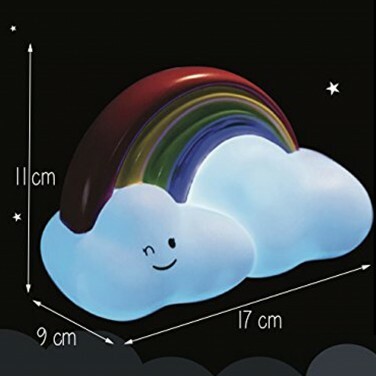 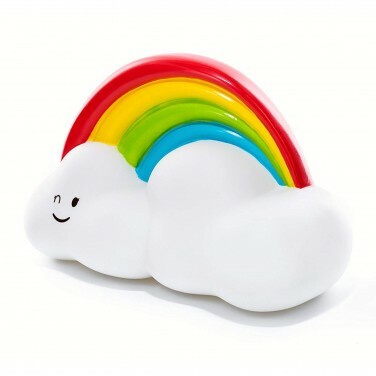 A colourful rainbow and two puffy clouds are lit with a colour change LED illuminating the clouds with a charming colour change light show that will helps to soothe and settle children at night. 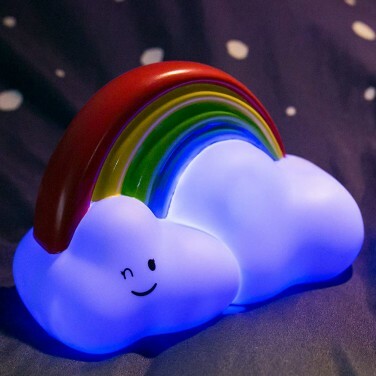 Battery operated, this adorable night light remains cool to the touch and with a 15 minute sleep timer, it can be left on as your child drifts off to sleep.